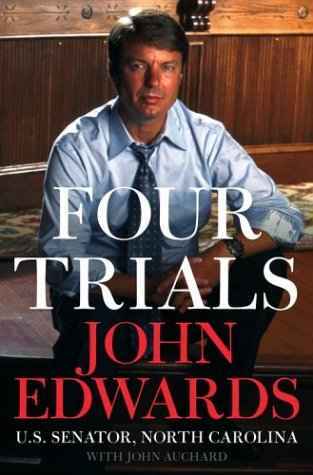 Click here for 11 full quotes from John Edwards in the book Four Trials, by John Edwards. Howard verdict forced trucking companies� safety training. Product liability suits attack corporate indifference. Judge�s philosophy matters-juries rely on trust. Med-mal cases are about accountability for mistakes. Campbell verdict empowered nurses & informed consent. On birth of 1st son, thanked wife for what he always wanted. Makes most speeches from notes, not a prepared text. Mill-town job persuaded him to get college education. Lawyers help people, lawmakers help many people. Climbed Mt. Kilimanjaro with his teenage son. Lost teenage son in a traffic accident. The above quotations are from Four Trials, by John Edwards.